There’s a shorter way and a longer way to get to Savannah from Jacksonville. 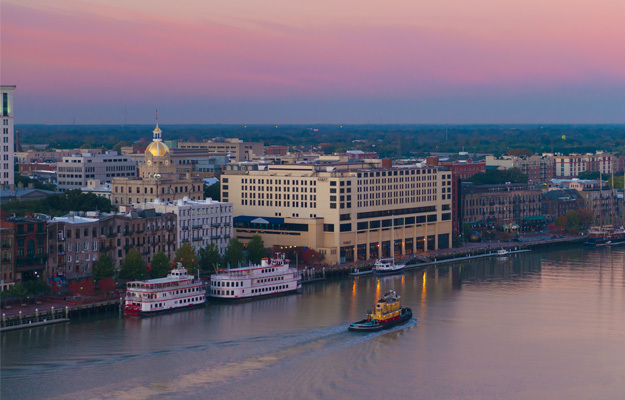 To go straight to Savannah to begin sightseeing as tours and attractions in the historic district begin open, take the shorter, 2-hour drive up I-95. It’s typical interstate scenery – cars going by. To take the picturesque longer route through Georgia’s unique tidal landscape and picturesque towns along the barrier island coastline, the 3- hour long drive along U.S. Route 17 is a must. There is a good compromise. Take both routes by driving about halfway up Route 17 where you can hop on I-95 just beyond South Newport. Leave Jacksonville early in the morning, enjoying the early morning colors of the spartina-laced estuarial landscape along Route 17. Take a short jog over to Jeckyll Island, one of the barrier islands. For a bit of local flavor, grab breakfast at The Pantry, Hibiscus Café or McCormick’s. Drive to nearby Brewery Ruins Horton-duBignon, the oldest standing tabby structure in Georgia. Open 24 hours a day for walk-throughs, the ruins have an interesting history and beautiful surroundings. Head back up 17 to merge onto I-95 a short distance away. If you left at 7am, you’ll get there around 10:30am, giving you plenty of time in Savannah. To make the most of your day, select what interests you from this pick list. Old Town Trolley Tour. 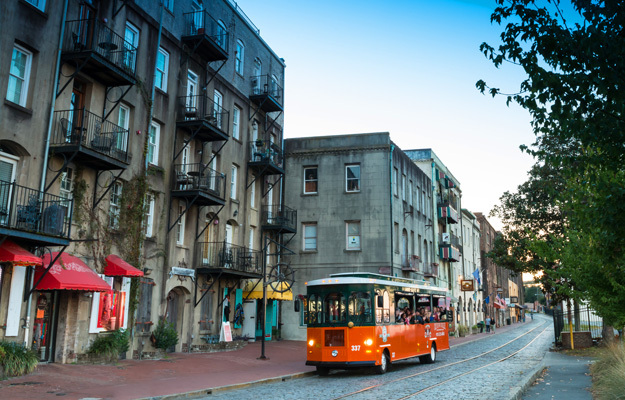 If this is your first visit to Savannah, start the day by hopping on the orange and green Old Town Trolley Tour. They offer a great 90-minute narrated tour of the Historic District. As the trolley makes its way along cobblestone River Street you’ll see Factor Walk, restaurants, souvenir shops, the active riverfront, passing boats and ships on their way to the busy port, and Waving Girl up on the bluff. The tour goes around several of Savannah’s lovely squares shaded by moss-covered live oak trees and surrounded by architecturally beautiful historic homes. As you see the sights, you’ll hear the fascinating stories. Take the loop around for an overview, or hop off at any one of the 15 stops along the route to explore. Hop back on again to resume the tour. Segway Tour or Bike Rental. If you’re traveling with young people 16 and older, opt for a fun 1-hour narrated Segway ride through the historic district. Riding around on odd-looking upright vehicles is cool and definitely holds their attention. Check out the discounted price for the Historic Tour by Segway or rent an electric bike from Electric Bikes of Savannah to get around. Self-guided Walking Tour. Exploring Savannah’s Historic District on foot is easy, thanks the orderly grid plan laid out by founder James Oglethorpe in 1733. Comfy shoes are a must. A great way to see Savannah on foot is to walk around around the famous moss-draped squares, many centered by sculptures of famous historic residents. It’s easy to get your bearings. The squares are lined up inland from the riverfront in an orderly way. Try this: walk up Bull Street beginning at East Bay Street, just up from the Riverfront. Head inland, walking around each square you come to. Along the way, take side streets around each square, browsing through an eclectic mix of stores, art galleries and antique shops. Be sure to sit on Forrest Gump’s Bench in Chippewa Square. The finish line – beautiful Forsyth Park! Take a selfie at the iconic fountain. Guided Walking Tours. Pick your favorite of Savannah’s several eclectic walking tours. There’s something for every interest. Cool Savannah Tours Architecture and History Tour covers it all. Savvy Savannah Tours’ Scenes of Savannah Tour highlights historic places; Spiritual Savannah, their tour of the city’s wide denominational range of architecturally lovely historic places of worship, is unique. Indigo Journey’s Walking Tour of Antebellum Period is a moving journey back in time through life as it was for African-American slaves in Savannah from before the Civil War until Emancipation in 1865. Savor Savannah Tour is for avid foodies interested in Savannah’s savory culinary scene. If you want to spend 3 hours indulging your taste buds on a progressive lunch in several restaurants while discovering Savannah’s unique sights along the way, this tour is for you. House Museum Tours. 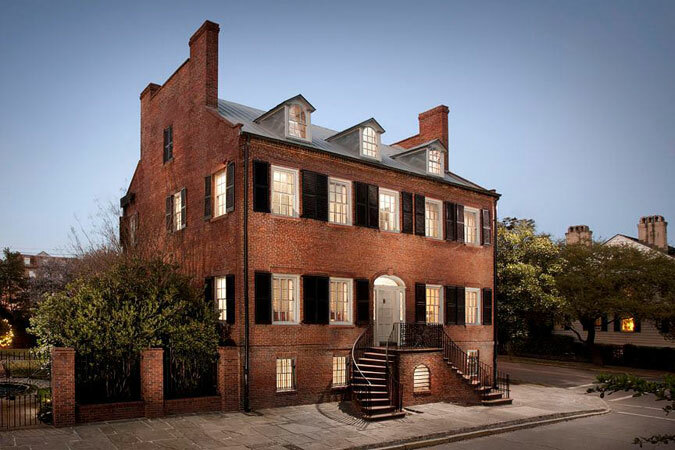 A tour of at least one or two of Savannah’s impressive collection of beautifully restored homes open to the public as house museums is a must. Furnished with antiques and artifacts of the period, each tells a fascinating story of those who lived there and the prominent people who visited. All are standouts. Museums of Art. Art is central to Savannah’s cultural scene. Traditionalist should visit Telfair Academy off Telfair Square, where two 19th century period rooms and a collection of 20th century American and European art are exhibited in a an exquisite 1819 neoclassical Regency style mansion. A must for those who gravitate towards contemporary art are the exhibitions at SCAD Museum of Art of avant-garde works of SCAD (Savannah College of Art & Design) students and acclaimed artists. American Prohibition Museum. Spend time at the highly interactive City Market Savannah museum and meet gangsters, moonshiners, rum-rum runners, and anti-saloon leagues as they appear in multiple ways throughout the museum’s 13 galleries. It’s a total immersion into the era, and, for adults, the Prohibition cocktails in the Speakeasy is great fun. 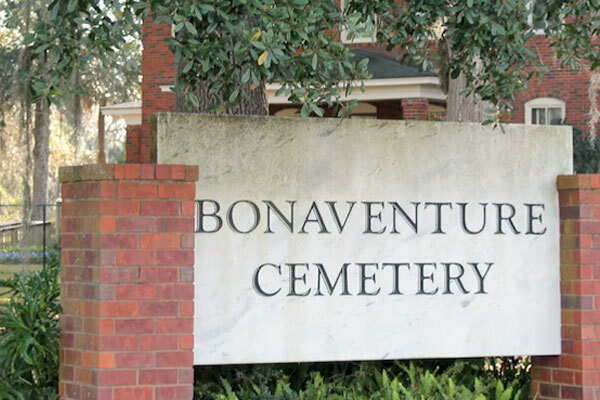 End your day at Bonaventure Cemetery about 5 miles east of the Historic District. Keep in mind it closes at 5pm. The 1846 Southern Gothic “garden” or “rural” cemetery, one of Savannah’s most beautiful places, is a unique experience and a visitor favorite. Go there before you head out to I-95, accessible from Harry S. Truman Parkway. Located up on a bluff overlooking the marshes, the Victorian-era cemetery, filled with elaborate sculptures and a lovely park-like setting, is meant for strolling. Although you are permitted to drive your car down the main cemetery road, you’ll miss the special off-road sites. Several companies offer guided walking tours of Bonaventure. However, pick up a map available at the entrance and walk to the older, historic sections. The statuary there is remarkable visual experience, offering amazing photo ops.